Around Miami-Dade, Broward County and West Palm Beach, people look to the law firm of Vernita C. Williams, Esq., PA, for help with estate, probate and guardianship issues. 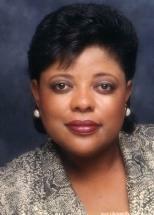 With more than 10 years of experience, Vernita C. Williams shines a bright light on the murky problems of estate planning, including wills and trusts, creating guardianships, conducting probate and estate administration and taking part in litigation and appeals relating to probate and guardianship matters. Attorney Williams works to take the mystery out of estate planning, drafting and reviewing all documents involving the distribution of wealth, care of minor children, durable powers of attorney, end-of-life heath care directives and so much more. Attorney Williams makes a real effort to treat each individual with respect, making your wishes regarding your estate her top priority as your lawyer. In the area of estate planning, there are many ways to protect and transfer money and property and Attorney Williams will take the time to discuss all of these options with you. In the areas of probate and guardianship, Attorney Williams will use the most efficient way of facilitating the probate or guardianship process to reach your goals. If problems do arise, such as a contested will, Vernita C. Williams, Esq., PA. has the experience and skills to protect your interests in litigation.